NORWAY — Ernst “Ernie” Otto Seeborg, 86, of Norway, died Friday, Dec. 8, 2017, at Dickinson County Memorial Hospital in Iron Mountain. Ernie was born March 30, 1931, in Otterndorf, Germany. He was one of eight children of Friedrich and Minna (Lewohn) Seeborg. Ernie was a skilled tradesman machinist and worked as a Merchant Marine out of Hamburg, Germany. He married his wife of 59 years, Dorothea Hahn, in 1958 in Otterndorf. They lived and raised their family in Flint, where Ernie worked at Chevrolet Flint Metal Fabricating for 32 years, retiring in 1990. Ernie’s interests included fishing, boating, camping, target shooting, keeping up with news and current events, and spending time with family and friends. In his retirement, Ernie enjoyed traveling with his wife in their truck camper, visiting sites such as the Grand Tetons and the Outer Banks. They wintered in the Florida Panhandle and Gulf Shores, Ala., for many years. In 2011, Ernie and Dori moved to Norway in the U.P. to be closer to one of their children, spending several special years living next door to two of their four beloved grandchildren. Visits from their other children and grandchildren were as frequent as possible and much anticipated. As adopted Yoopers, Ernie and Dori enjoyed walking at Strawberry Lake, Friday night fish fry, time spent at the Anderson cottage at Hamilton Lakes, the view from the top of Pine Mountain, and Norway City Band concerts. Thanks go out to the staffs of multiple medical facilities who gave caring treatment to Ernie, especially over the past year. Ernie is survived by his wife, Dorothea; son, Andrew (Filiz) Seeborg; daughter, Andrea (Ray) Anderson; daughter, Christina (Dan Chaney) Seeborg; grandchildren, Christina and Anna Anderson, and Alara and Derin Seeborg; sister-in-law, Christel Shaffer of Salt Lake City; and brother-in-law, Juergen (Gloria Stockton) Hahn of Berkeley, Calif.
Ernie stayed in touch with special niece and nephew, Elke Lerch and Wilfried Seeborg in Germany. At this time there will be no funeral services, a memorial service will be held at a later date. Condolences to the family of Ernie may be expressed online at www.ortmanfuneralhome.com, or mailed to P.O. Box 132, Norway, MI, 49870. 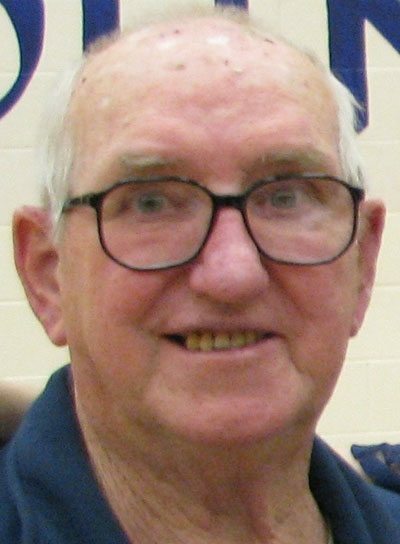 Donations may be made for a scholarship in Ernie’s memory to the Norway Music Boosters, c/o Norway High School, 300 Section Street, Norway, MI, 49870.